Prom queen Addy is holding together the cracks in her perfect life. And outsider Simon, creator of the notorious gossip app at Bayview High, won't ever talk about any of them again.He dies 24 hours before he could post their deepest secrets online. Investigators conclude it's no accident. All of them are suspects. A big thanks to Penguin Random House and NetGalley for providing me with a digital copy of this book for review. 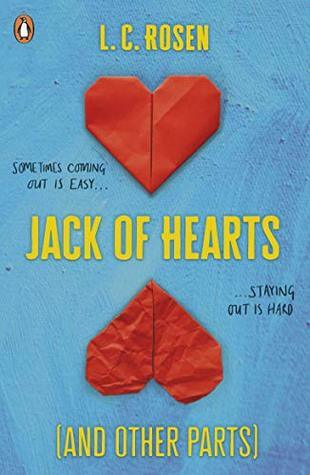 Warning: I'm going to try and keep this review as spoiler free as possible but it's going to be tricky so tread carefully if you've not yet read it! One of Us Is Lying follows the events unfolding after the death of a boy named Simon in a high school detention. The narrative is split between four different characters each with completely different lives but each who has a secret that they're trying to hide. Initially I was worried that I would find it very difficult to get to grips with a narrative split between so many characters but once I got into the storyline it became much clearer who was who and I honestly think successfully writing a book with this many characters is quite an achievement! It's very difficult for me to write much about my thoughts on the story without posting major spoilers but it was a thoroughly enjoyable read which ticked almost every single box I have for a good book! I really enjoyed the beautiful development shown by all characters, but especially that of Addy who becomes a super strong woman and I'm just really so proud of her!! I mean, there's also some really cute romance and the epilogue made me feel so warm inside and it was wonderful. There was only one small thing which bugged me and that was the way in which the characters referred to a girl who'd had a suicide attempt and the phrase that was used more than once to describe it (I shan't quote because I don't want to use such a phrase tbh). However, I think this is more a case of something which I find personally upsetting but also something that's a common description and would very likely be used by teens such as those in this book. So it's not like a negative of the book but more a negative of how insensitive people are to mental health issues in real life? I'm not sure if I've put this point across very successfully or not but oh well! 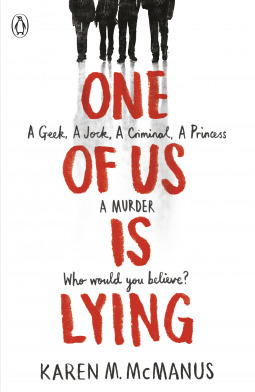 Anyway, One of Us Is Lying is a super fun book with a really good mystery which will keep you guessing (if you figure it out you're much cleverer than me, good job!). It has fab characters and it's just really enjoyable so you should add it to your TBR if you haven't already!